Are you pursuing ISO 9001:2015? 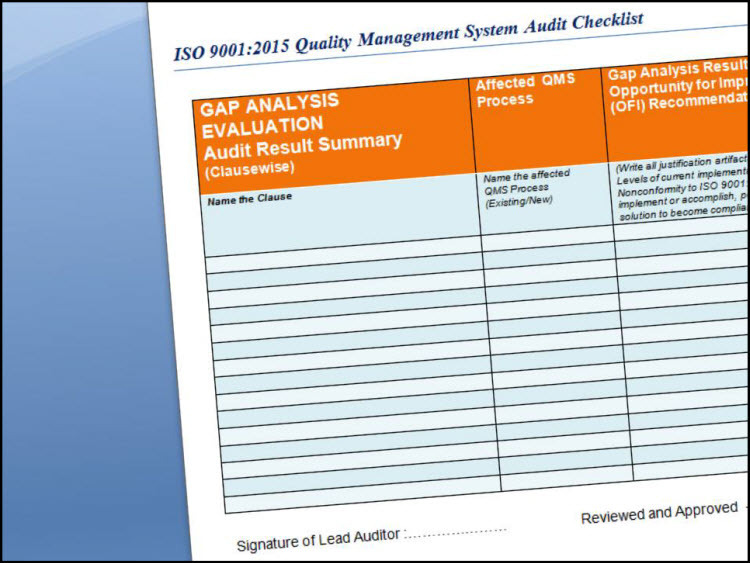 Do you need to conduct an ISO 9001:2015 Gap Analysis? 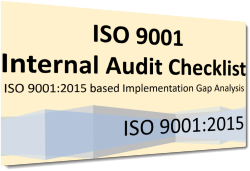 Are you conducting ISO 9001:2015 internal audits on a regular basis? Use our ISO 9001:2015 Internal Audit Checklist to kickstart your ISO 9001:2015 implementation. 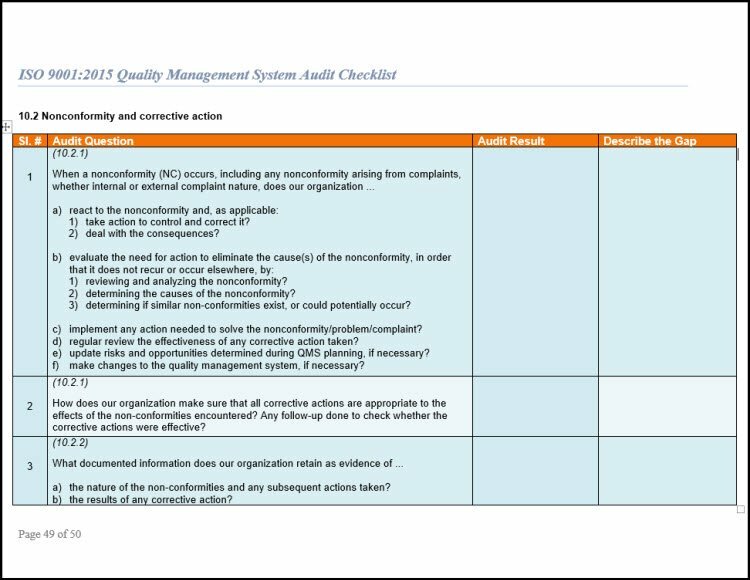 This audit checklist follows the ISO 9001:2015 standard. 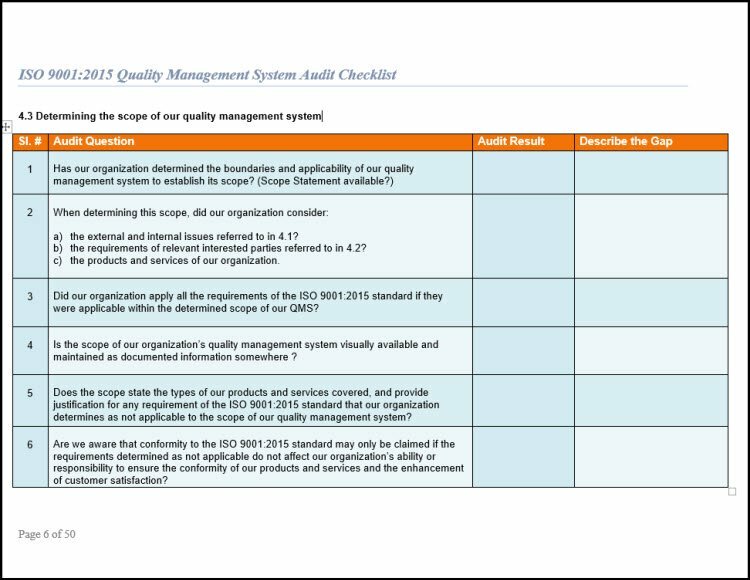 Within the audit, it includes hundreds of questions to help you conduct a gap analysis between your current Quality Management System and the ISO 9001:2015 standard. We include both color and non-color Microsoft Word templates and pdf forms of the internal audit. In addition, the ISO 9001 Checklist includes advice and recommendations to achieve the ISO 9001:2015 requirements. This is the perfect document to present all findings to your Top Management in adequate ways!